Bolle has been designing and creating top-quality eyewear and safety goggles since 1956, and it has continued to lead the pack in sunglasses that are designed for an active lifestyle. Stylish and sporty designs, wrap frames, and modified aviators make up the foundation of Bolle's collection, and it is enriched with a selection of bold colors, brave styles, and lens technologies. All Bolle lenses meet ANSI standards, and most are finished with an anti-reflective coating that protects from glare in all directions. 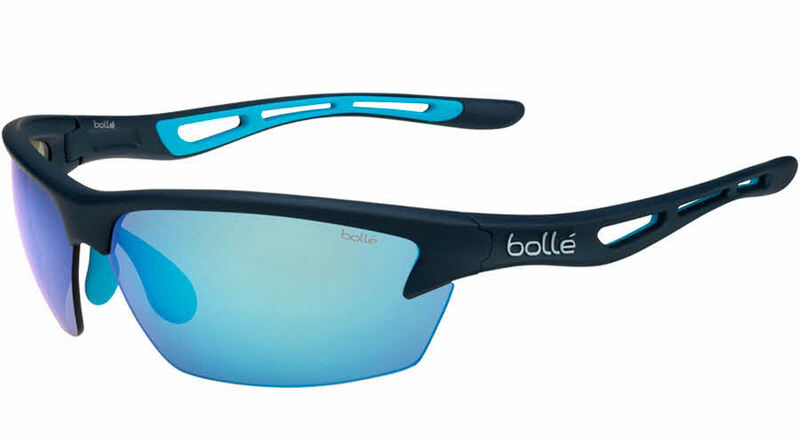 Style and functionality come together in Bolle's collection of performance sunglasses. Interchangeable bClear lenses which are made with ultra-light weight Trivex® material; these lenses provide crystal clear clarity and impressive durability. bClear lenses are dual-side coated with hydrophobic and oleophobic treatments to keep the lenses sweat and oil free.